According to a new report North America Wireless POS Terminal Market, published by KBV research, the North America Wireless POS Terminal Market Size would witness market growth of 10.7% CAGR during the forecast period (2017-2023). The US market holds the largest market share in North America Portable Countertop & Pin Pad Wireless POS Terminal Market by Country in 2016, and would continue to be a dominant market till 2023; growing at a CAGR of 9.2 % during the forecast period. The Canada market is expected to witness a CAGR of 12.3% during (2017-2023) in North America mPOS Wireless POS Terminal Market. Additionally, The Mexico market is expected to witness a CAGR of 13.4% during (2017-2023) in North America Smart POS Wireless POS Terminal Market. The Retail market holds the largest market share in Mexico Wireless POS Terminal Market by Vertical in 2016, and would continue to be a dominant market till 2023; growing at a CAGR of 10.7 % during the forecast period. The Healthcare market is expected to witness a CAGR of 11.4% during (2017-2023). 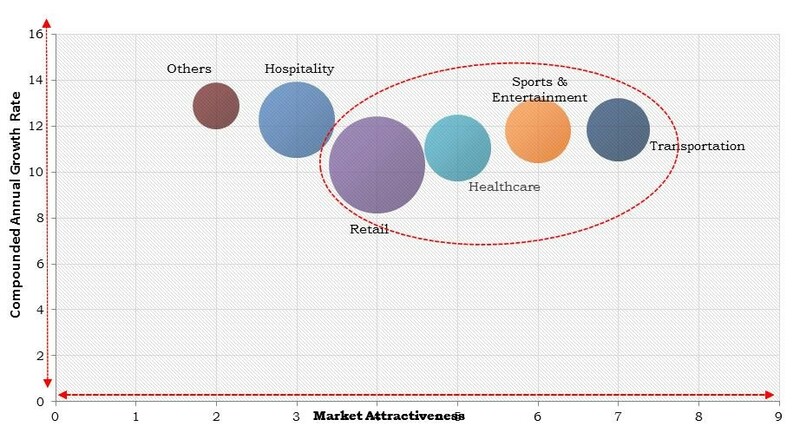 Additionally, The Hospitality market would garner market size of $89.1 million by 2023. The market research report has exhaustive quantitative insights providing a clear picture of the market potential in various segments across the countries in the region. The key impacting factors of the North America Wireless POS Terminal Market have been discussed in the report with the competitive analysis and elaborated company profiles of NCR Corporation, Diebold Nixdorf, Verifone Systems, Inc., First Data Corporation, U.S. Bancorp (Elavon), Castles Technology Co Ltd., Squirrel Systems, Ingenico Group, WinPOS, and CitiXsys Americas Inc..